Peter is the senior partner and a founder of Barack Ferrazzano. He practices in the area of corporate and securities law with an emphasis on mergers and acquisitions and financial planning matters. He regularly represents clients in mergers and acquisitions, strategic business planning and other sorts of corporate counseling. In addition, he advises a variety of large public companies, including many foreign companies in their American business activities. As examples of the diverse nature of his practice activities, Peter has represented a large French public company in its $3.2 billion acquisition of a 62.5 percent interest in an international retailer, another large French company in the merger of its business travel services subsidiary with an American business travel company to form an international company with over $8 billion in annual turnover, the controlling family in a merger of its publicly held sporting goods company into a large privately held sporting goods company and its subsequent listing on the NASDAQ national market system, and a public company in its $350 million acquisition by way of a tender offer and merger into a private equity fund. Peter began his career as an Assistant Professor of Business Administration at Harvard Business School and an Associate Professor of Law at Northwestern University Pritzker School of Law. 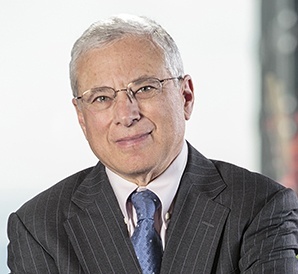 He has continued his academic affiliations by serving as an Adjunct Professor of Corporate Law and the holder of the Edward Avery Harriman Lectureship at Northwestern Law School, where he teaches Business Planning, Corporate Finance, and Securities Regulation. He also is an Adjunct Professor in Finance at Northwestern’s Kellogg School of Management where he teaches Mergers and Acquisitions. He also teaches Mergers and Acquisitions in various mid-career Executive Programs at the Kellogg School of Management. Peter is the author of numerous articles on corporate and securities matters, a speaker on corporate law subjects, and a member of various corporate law committees, including the Ray Garrett Jr. Corporate and Securities Law Institute and the Corporate Counsel Institute for which he served as Planning Director for many years. Represented Fendi in its acquisition of a controlling interest in Taramax SA, its watch licensee, and entry into long term license agreement. Representation of Football Fanatics in connection with its recapitalization and sale of Series A Preferred Shares to a well-known private equity firm. When the CEO is sick, how much disclosure is enough?